"They're sharing a drink they call loneliness. But it's better than drinking alone"
Innervisions is ranked as the best album by Stevie Wonder. Members who like this album also like: The Dark Side Of The Moon by Pink Floyd, The Rise And Fall Of Ziggy Stardust And The Spiders From Mars by David Bowie and Abbey Road by The Beatles. 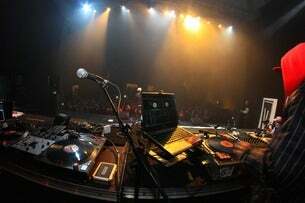 Outland Ballroom, Springfield, United States. Tin Roof - Baltimore, Baltimore, United States. The tracks on this album have an average rating of 86 out of 100 (all tracks have been rated). Top-rated track as rated by BestEverAlbums.com members. Related links: top tracks by Stevie Wondertop tracks of the 1970s, top tracks of 1973. Total Charts: The total number of charts that this album has appeared in. Total Rank Score: The total rank score. You can include this album in your own chart from the My Charts page! Showing latest 5 ratings for this album. | Show all 983 ratings for this album. Related links: top albums of the 1970s, top albums of 1973. Wow. Stevie was working a whole different level than everyone else at this time. EVERY track here is great. I have only recently started to listen to Stevie Wonder seriously recently, probably because I wasn't mature enough to recognise the fantastic musicianship and vocals. This is an album encompassing many styles, funk, soul, jazz rock, it's all here and a great album sleeve too. The uplifting mood. The funk. The social commentary. I speak fluent spanish! Chevere! Let me give you some very in depth analysis of this record...way better than songs in the key of life. And 99.99% better than owt ever released. And better than the best album you could even pretend you could make if you had talent. Which you don't. And even if you do, put this on and realise some facts. Why don't you have this in your top 10? One of the most perfect albums out there. Every track is great. Although I've loved Stevie Wonder for just about as long as I can remember actively listening to music, I have to confess that I was brought to Innervisions by an unlikely source: the Red Hot Chili Peppers. It was their cover of "Higher Ground," which initially I didn't know was a cover, that led me to check out the original, which obviously is far, far superior. My love for the Chilis has dissipated somewhat over the years, but my adoration for Stevie Wonder has not, and I'm still grateful to him for outing politicians who talk while their “people keep on dyin'.” That message holds as true today, particularly in the context of police shootings of people of color, as it did in 1973. 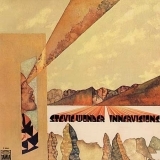 I bought Innervisions by Stevie Wonder on 26/03/1994 from on CD for £7.00 The version I have is on the record label Motown catalogue number 530 035-2 It entered the UK charts on 01/09/1973 and got to number 8 spending a total of 55 weeks on the chart. Probably Stevie Wonder's most perfect record. Innervisions, May not be your favourite Wonder LP, and you may not even think it's his best, but it is his one album that ticks all the boxes. It doesn't feel indulgent or overlong, there's no filler, weak tracks or any missteps, it's simply Stevie Wonder firing on all cylinders, making a tight, cohesive and unforgettable LP. Great songs in, living for the city, higher ground, and, all in love is fair. Simply breathtaking.